Even the name seems gentle, doesn't it? Ultrasound. It evokes the spa-like experience of the dark, quiet room, the painless glide of the wand over the skin. Who doesn't want to see their baby? Who wouldn't want to pass the test? Why bother engaging some woo-woo quest for spiritual communion with your unborn child when you can just sit back and watch the evidence on the TV screen? "Ultrasonography involves the use of sound waves and is not a form of ionizing radiation. There have been no reports of documented adverse fetal effects for diagnostic ultrasound procedures, including duplex Doppler imaging...There are no contraindications to ultrasound procedures during pregnancy, and this modality has largely replaced X-ray as the primary method of fetal imaging during pregnancy." The FDA admits that long-term effects of ultrasound "cavitation" are unknown. They self-sanction, however, by stating that "medically indicated" ultrasounds performed by obstetricians allow for benefits that outweigh the risks. Is this evidence-based? With regard to "efficacy," multiple Cochrane reviews have demonstrated a lack of perinatal mortality benefit for routine ultrasound in a normal pregnancy, and an increased risk of cesarean section with third trimester screening. A review of outcomes literature condemns ultrasound when used for dating, second trimester organ scan, biophysical profile, amniotic fluid assessment, and Doppler velocity in high and low risk pregnancies. Given the conspicuous lack of evidence for ultrasonography's role in improving pregnancy and birth outcomes, one might ask why The International Society of Ultrasound in Obstetrics and Gynecology (ISUOG) unilaterally recommends that all pregnant women have routine obstetric ultrasounds between 18 weeks and 22 weeks gestational age? One might also consider that ISUOG suffers from profound conflicts of interests, as evidenced by their public acknowledgment of partnership with the leading global obstetric technology companies, such as GE Healthcare, Phillips, Samsung Medison, Toshiba, and Siemens. How Do We KNOW They're Safe? "Not only is ultrasound (US) widely used for imaging; its interaction with biological tissues is known to induce a wide variety of nonthermal effects ranging from hemorrhage and necrosis to more delicate manipulations of cells and their membranes such as permeability enhancement, angiogenesis induction, and increased gene transfection." "Unknown to Western scientists, the hazards of ultrasound have been confirmed in China since the late 1980s, where thousands of women, volunteering for abortion, thousands of maternal-fetal pairs, were exposed to carefully controlled diagnostic ultrasound and the abortive matter then analyzed via laboratory techniques." Involving 100 scientists and 2700 mother-fetal pairs, the data from 65 studies do not appear on the NIH's Pubmed, but can be found on Chinese databases. The studies employed electron microscopy, flow cytometry, and various biochemical analysis (immuno- and histo-) with results compared against those of sham-exposed pregnant women (exposed at zero intensity). Assessing brain, kidney, cornea, chorionic villi, and the immune system, researchers determined the amount of ultrasound exposure required to produce damage to the human fetus to be very low. Ruo Feng, who reviewed many of the studies, recommended that routine ultrasound be avoided: "Only if there were exceptional medical indications should ultrasound be allowed, and at minimum intensity. Sessions should be very brief, no more than 3 minutes, 5 minutes at most. Multiple sessions should be avoided because hazards are cumulative. Human studies had found sensitive organs damaged at 1 minute exposure." Today's pregnancies and today's children are bringing the concept of evolutionary mismatch to life. Just because a lifestyle and an approach to health have become normative does not make them consistent with what our genomes are expecting to see, based on millions of years of evolution. Antibiotics, psychiatric drugs, processed food, pesticides, industrial chemicals, vaccines, and ultrasound, couple with surgical birth and bottle feeding – this is not the way to make a healthy child. While we are looking for the smoking gun to explain why 1 in 6 of our children are learning disabled, we would be best served to reconcile our thinking with what the evidence is showing. Science is demonstrating the relevance of concepts like allostatic load, genetic snps, dysbiosis, and nutrient deficiency that render a pregnancy full of ultrasounds the loading of a gun shot by that Hepatitis B vaccine at birth, or perhaps 8 at a catch up visit a year later. Even if ultrasound didn't load the gun, the very existence of ultrasonography opens up a psychic chasm within pregnant women, transforming the seamless experience of "being with child" into the possession of a scannable medical object, a locus of risk instead of a future healthy child. 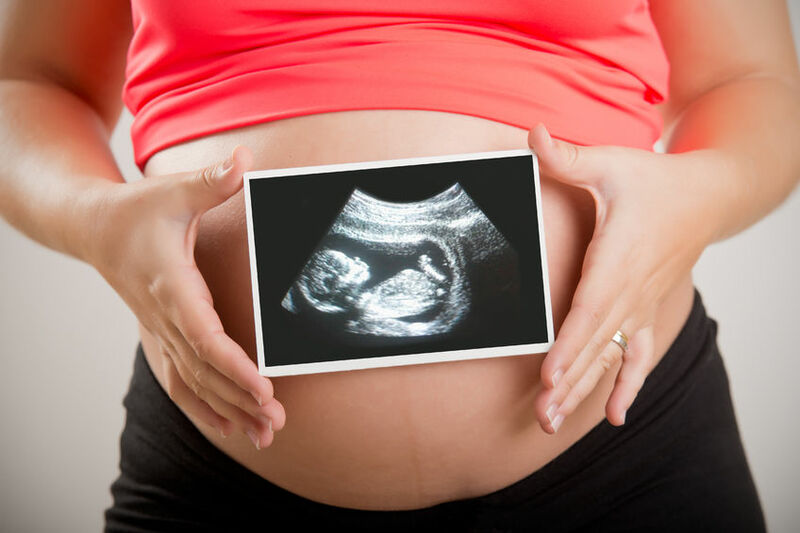 For these reasons and more, seek out pregnancy support that honors the unfolding of this largely enigmatic process and supports the mother-fetal dyad by sending an evolutionarily recognizable signal of safety through nutrient dense food, movement, calm. Homebirth midwives and doulas know just what this means.